For many years most recorded piracy activity occurred along the African east coast, but Guinea Gulf pirates have now surpassed their east coast counterparts both in the number of attacks and the level of violence used. Regional governments have been unsuccessful in addressing the piracy problem and repeatedly failed to implement appropriate counter-piracy measures. Arguments have been made for the international community to deploy naval forces to the Gulf of Guinea to replicate the rather successful counter-piracy operations off the Somali coast, but both the European Union (EU) and NATO have stated they have no intentions to intervene militarily in the Gulf of Guinea. However, piracy is a cross-border criminal activity and it is important that affected nations cooperate and share intelligence. Several West and Central African states have acknowledged this need, and recently signed the Yaoundé Declaration aiming to increase regional counter-piracy cooperation. This paper discusses the increase in piracy activity in the Gulf of Guinea on the African west coast and its correlation with oil theft. The paper emphasises a need for both short- and long-term solutions to the problem and discusses the international community as well as regional states’ roles in addressing the scourge. Counter-piracy operations have been rather successful off the Somali coast in the Gulf of Aden. The summer of 2012 recorded more piracy activities in the Gulf of Guinea on the African west coast than on the east coast for the first time. The International Maritime Bureau (IMB), which monitors sea crime, reported eight piracy incidents off Somalia during the first half of 2013; 31 piracy incidents were recorded off the West African coast during the same period, 9 off the coast of Nigeria and 22 outside of Nigeria’s territorial waters. Piracy in the Gulf of Guinea has expanded rapidly over the course of the last few years and the numbers of recorded piracy incidents rose from 39 incidents in 2010 to 62 in 2012. This trend has continued and during the first six months of 2013, there were three times as many incidents of piracy in the Gulf of Guinea than off the Somali coast. But these figures only reflect a fraction of the real number of incidents that occur, as many attacks are not reported due to the shipping companies trying to prevent increased insurance premiums. There are reports suggesting that more than 60% of pirate attacks in the Gulf of Guinea go unreported. When discussing violent crimes such as piracy, however, it is problematic to clinically quantify incidents and only compare volumes. One piracy incident is not necessarily comparable to all others. There are also qualitative values to consider. Equally as alarming as the increasing numbers of piracy incidents in the Gulf of Guinea is the greater brutality of piracy-related violence off the west coast compared to the Gulf of Aden. Reports suggest that West African pirates are getting quite audacious and the attacks show a “great propensity toward violence on the part of the aggressors,” evidenced by incidents such as seafarers having their fingers hacked off by pirates. One explanation for the differing levels of violence is that the pirates have different objectives with their operations. Much of the piracy in the Gulf of Aden is aimed at kidnappings for ransom. The hostages are valuable to the pirates and are therefore treated in a way befitting their ‘value’. Piracy in the Gulf of Guinea is more focused on stealing cargoes, and the seafarers are only seen as an obstacle to piracy operations. Seafarers kidnapped in the Gulf of Aden spend an average of 11 months in captivity compared to an average of four days of captivity for those kidnapped in the Gulf of Guinea. Levels of violence are more difficult to compare, but reports that suggest greater use of violence by West African pirates than their East African counterparts are supported by seafarers’ fatality rates due to piracy incidents. While no piracy linked fatalities occurred in the Gulf of Aden in 2012, five seafarers were killed in piracy incidents in the Gulf of Guinea. The Gulf of Guinea is an increasingly busy maritime region and a major thoroughfare for valuable commodities such as gold, bauxite and iron ore, and agricultural products. It is also the primary access route to and from major oil-producing countries Angola and Nigeria, and its already dense tanker traffic will only increase due to recent discoveries of offshore oil in Ghana, Ivory Coast and Liberia. Guinea Gulf pirates’ main motivation is to steal crude oil and refined petroleum products from tankers for sale on the black market. The majority of the Gulf of Guinea piracy comes out of Nigeria and recorded incidents indicate that the world’s most dangerous shipping routes are along the coast of Nigeria, with a small extension into the territorial waters of Benin and Togo. Nigeria’s navy is relatively successful at tackling piracy off its own shores so many Nigerian pirates conduct their operations in bordering nations, which have more limited capacity for maritime law enforcement. Benin, with which Nigeria has bilateral relations on maritime safety and has engaged in joint patrols since 2011, has asked the UN to support their counter-piracy activities as they have suffered a 70% fall in shipping. Benin’s economy is heavily dependent on shipping as approximately 40% of its revenue stems from its port and piracy has resulted in an estimated US$ 81 million loss in customs revenue. There is no doubt that pirates will continue to threaten the region’s oil and shipping industries for years to come due to the oil producers’ ‘doubled risk exposure’. The major oil-producing countries in the sub-region produce millions of barrels of oil a day but only a limited amount of this is processed in-country, which means they export crude oil and re-import refined fuel. The sub-region’s biggest oil producer, Nigeria, produces more than two million barrels of oil a day but far less than a quarter is actually processed in-country.Most of the oil is therefore a potential target for pirates when being exported and when the refined product is re-imported. The Gulf of Guinea nations will need assistance from the international community in order to address piracy. However, giving naval assistance, or even deploying international naval operations, will only help contain the problem, not solve it. Guinea Gulf pirates will continue to steal crude oil or refined petroleum products as longs as there are well-developed black markets for oil trade available and as long as the governance and law enforcement capacity remains weak. This is something that the international community won’t be able to change. 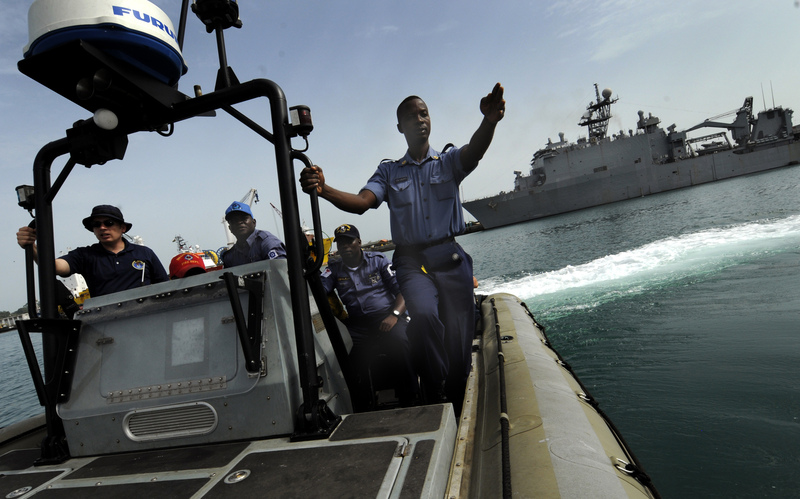 Even if it is difficult to compare counter-piracy activities in the Gulf of Aden to those in the Gulf of Guinea, it is worth mentioning that the combination of the EU’s naval forces’ efforts at sea and better organised shore-based policing has been instrumental in counter-piracy operations on the East coast. The new Somali federal government and its supporters were able to carry out counter-piracy shore-based policing, driving pirates out of their traditional areas of operations. More efficient policing combined with the EU’s naval forces’ escalated counter-piracy operations, such as helicopter gunship attacks on pirate bases on the coast and on their attack boats, have been the two factors that have contributed most to the reduction in Somali piracy. 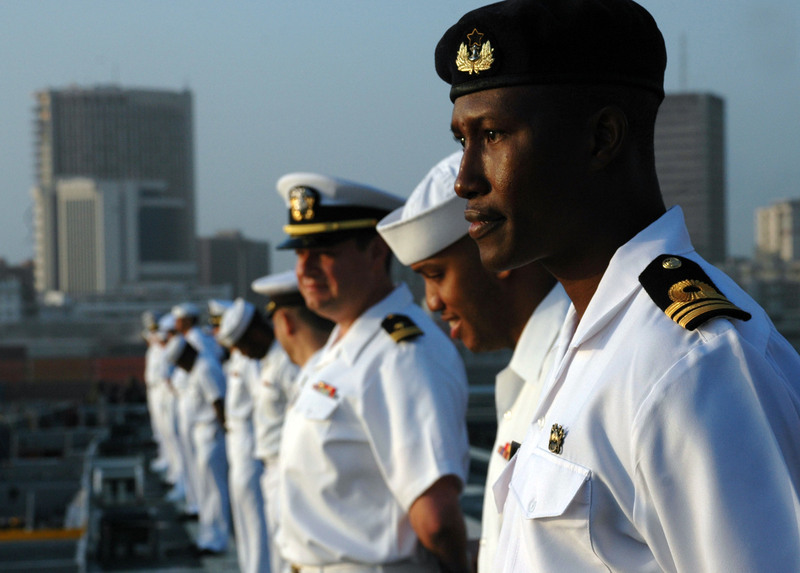 Call for counter-piracy operations in West Africa: Regional or international responsibility? Many West African leaders want to see the counter-piracy activities in the Gulf of Aden replicated in the Gulf of Guinea. They want to see a regional taskforce and outside intervention to rival the EU and NATO’s efforts off the coast of Somalia. The global shipping trade is bleeding due to piracy and it wants to see the Gulf of Guinea piracy problem resolved sooner rather than later. 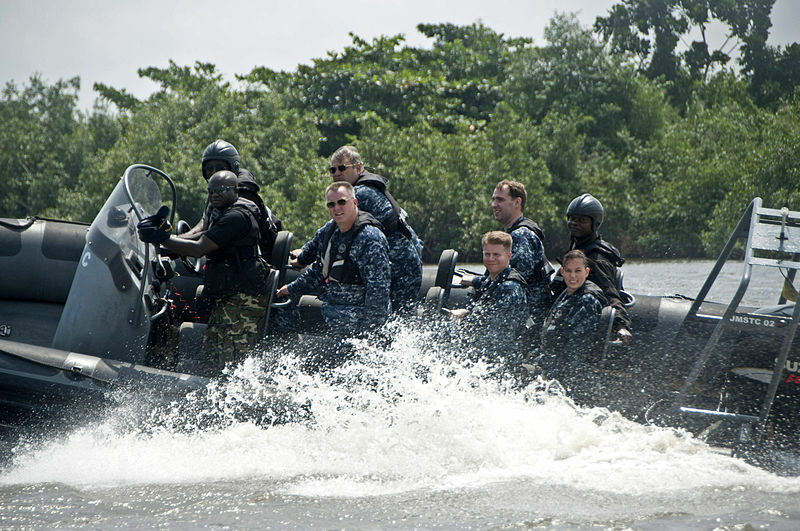 Today, American, British and French navies do occasionally patrol the Gulf of Guinea but it is unlikely that there will be any major international military forces deployed to conduct a wide-ranging counter-piracy campaign, as it is hoped that the problem can be resolved locally. The reason behind the EU and NATO’s stand-offish attitude is that the Gulf of Guinea has a political and operational context such that the West African nations should be able to resolve the issue with piracy themselves. The EU and NATO deployed military forces to the Gulf of Aden as Somalia had been without a stable government for more than two decades. A failed state such as Somalia had less capabilities and opportunities, as well as intention, to launch necessary counter-piracy operations. For the situation to improve, the international community couldn’t expect Somalia to act, so they had to do so themselves. The situation in the Gulf of Guinea is different. West Africa has reasonably intact states with police and naval forces that are seen as capable of leading counter-piracy campaigns. According to the IMB, the Guinea Gulf nations have thus far been rather unsuccessful in combating piracy mostly due to their lack of efforts to confront the piracy problem. The international community is also reluctant to launch a military campaign in the Gulf of Guinea because this is mainly a policing operation, which is primarily a national responsibility. Their argument is that the Guinea Gulf nations are responsible themselves to ensure that their coastal waters are safe and secure and that they “must take whatever measures are necessary to prevent their own territory becoming a ‘springboard’ for pirate attacks on innocent trade.”West African leaders, on the other hand, want to see the international community take responsibility for what they consider an international problem, by deploying an international naval force to curb the growing threat in the Gulf of Guinea. The Chairperson of the African Union Commission, Nkosazana Dlamini-Zuma, has argued that the piracy is an international problem even if it was happening off the African coast.The problem, however, is that the Gulf of Guinea piracy is above all an organised crime problem, rather than piratical, and most of these pirate attacks do not occur in international waters. More often than not they occur within the sovereign borders of states, which are set at 12 nautical miles offshore, and are thus subject to countries’ own laws and legal systems, rather than being subject to international law. There is thus a great need for co-operation and information sharing between piracy-infested states in West Africa but so far that cooperation appears to be patchy. However, an agreement between 22 West and Central African states was signed in June 2013 aiming at coping with the growing threat of piracy and strengthening the region’s maritime security. They agreed to the Yaoundé Declaration, formally known as the Code of Conduct Concerning the Repression of Piracy, Armed Robbery Against Ships, and Illicit Maritime Activity in West and Central Africa. The ambition with this agreement is to increase regional cooperation and capacity building in combating piracy. While the world discusses whose responsibility it is and weather there is enough regional competence for a successful counter-piracy campaign, the piracy in the Gulf of Guinea is expanding and there are no indications that this expansion will end any time soon, unless proper counter-piracy efforts are implemented. There are indications that during the summer months of 2013 the attacks have started to spread as piracy incidents have been reported as far west as the Ivory Coast and as far south as Gabon. One reason for the expanding piracy is the economic upswing of formerly poverty-stricken states like Togo, Ghana and Nigeria; the more goods being shipped into these Guinea Gulf nations, the more pirates will be seen off the Gulf of Guinea coastline, and without capable local security forces and (foreign) naval assets, western African piracy will continue to rise – at least in the short term. Piracy has its roots in poverty. Criminality feeds on lack of opportunities, unemployment, and a frail political environment. Eradicate poverty and piracy will be eradicated. Unfortunately, poverty eradication is exceptionally challenging and something that will take generations to accomplish, but it is important to remember this as policing and military counter-piracy operations only have short-term effects. Comprehensive counter-piracy strategies must comprise both long-term and short-term objectives to ensure a lasting effect. The current status of the Gulf of Guinea region provides pirates with the best possible operational environment for their activities: the recruitment pool of potential pirates is almost unlimited as poverty is present throughout all the Gulf of Guinea nations and the main shipping route for sub-region oil producers traverses areas with weak governance, inadequate law enforcement capacity, and massive socio-political tensions. These factors combined foster an ideal piracy environment as the possibility for huge rewards exceeds the probability for getting caught or punished. When it comes to counter-piracy operations there is an apparent discrepancy between the ownership of the tasks as well as how the operations should be carried out. The weak governments of the Gulf of Guinea nations have for years failed to defeat the expanding piracy and have repeatedly requested assistance from the international community. The international community on the other hand has been reluctant to aid the West African counter-piracy efforts as West African nations are supposed to have police and naval forces capable of conducting their own counter-piracy campaigns. nonetheless benefit from the appropriate and wide-ranging support of the international community. Even if the international community is hesitant to deploy needed naval forces to a second African counter-piracy campaign, it would be reasonable to acknowledge that most Guinea Gulf nations actually do not have the capabilities to launch comprehensive counter-piracy operations. The piracy problem is nothing new but the Gulf of Guinea nations’ authorities failed to address the problem in a timely manner. There is really no excuse for the fact that they have not been able to deal with it and ships will not be safe until authorities strengthen police capacity to investigate and prosecute criminal networks, as well as enforce a zero tolerance policy for corruption in security services. For a full list of sources cited in this article, please see the original article at CAI. Alexander Holmgren is a Consultant with CAI and a security, political, and financial analyst. Contact Alexander through Consultancy Africa Intelligence’s Conflict & Terrorism Unit (conflict.terrorism@consultancy.com) . Edited by Nicky Berg.